Kathy Hogan is one of the most prominent and well-respected lawyers in Colorado. Kathy’s knowledge of Colorado’s statutes and cases involving family law is reflected in her many publications. 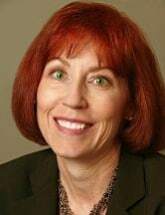 She is the author of the Colorado Family Law Practice Series, a 2 volume set covering the practice of family law, that is relied upon by judges, lawyers, and other family law professionals. She is also the Editor in Chief of the Family Advocate, a quarterly magazine published by the American Bar Association section of Family Law. She is a member of the American Academy of Matrimonial Lawyers, is listed in the Best Lawyers in America for Family Law, and has been named a Colorado SuperLawyer. Our home office is conveniently located in the metro Denver area, with a branch office in Aspen, where we have represented clients throughout the state of Colorado. Choose McGuane and Hogan, LLP, for a private, confidential, consultation today.